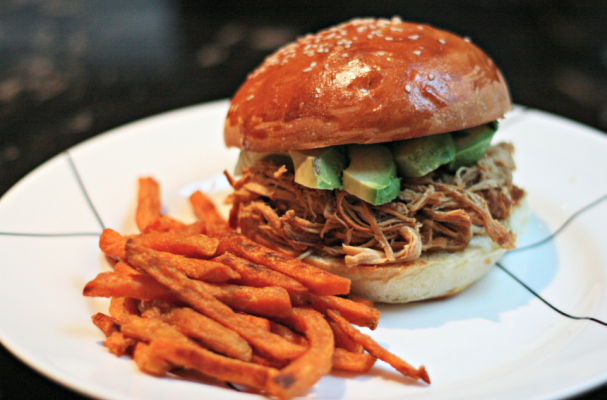 Pulled turkey sandwiches is the perfect way to enjoy a post Thanksgiving meal. Not only is this meal super simple but it comes together in just a few minutes. I also love that it is flexible. Sometimes I'll prepare this sandwich with cheddar cheese and caramelized onions. Either way this snack is delicious and you have to try it! Step 1: In a saucepan, heat the the shredded turkey meat. Add enough barbecue sauce to moisten the meat. Heat through. Set aside. Step 2: Slice rolls in half and spoon meat mixture on one half. Top with a sliced pickle and a few chopped onions. Top with remaining half of bread.